In San Antonio Texas there are good eats everywhere you look but each time I visit this gorgeous city I feast on one thing — guacamole. I’m not sure what it is that makes guacamole in San Antonio so memorable. It could be the romance of a candlelit dinner along the picturesque Riverwalk at Boudro’s Texas Bistro. Perhaps it’s dining with the locals in El Mercado (Market Square) at Mi Tierra Cafe Y Panaderia. Or maybe it’s the party atmosphere of dining al fresco with friends at La Fogata as you laugh it up during a guacamole cooking lesson that leaves you with your very own bowl of guacamole all to yourself. 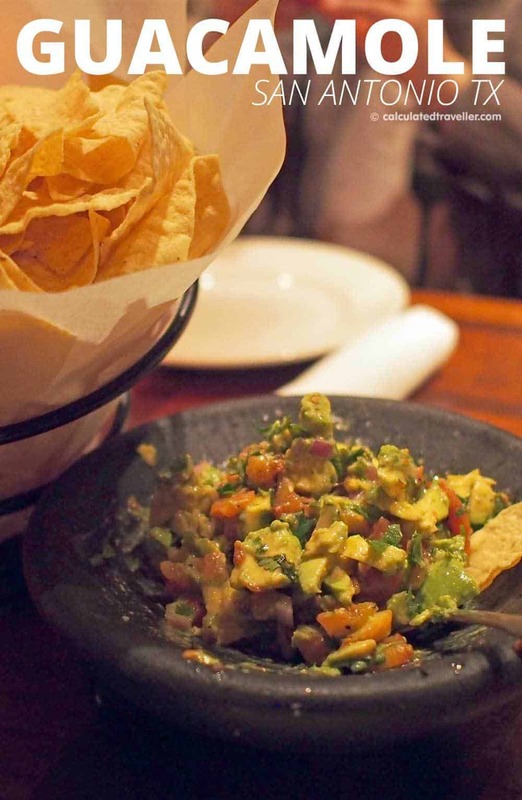 At La Fogata, an assortment of ingredients clutter our table, and the guacamole cart is parked tableside. It’s all easier said than done I say to myself as I sit there, woozy with my head spinning. I try to follow along to make my personal (double dipping approved) bowl of guacamole and I would have been more alert if perhaps we had taken the Guacamole Class BEFORE the Margarita Class! That margarita? Well, it was stronger than I expected and truthfully, I can’t remember a single ingredient that went into it! All I know is that there were a lot of little plastic cups of alcohol, a shaker full of ice, a lot of laughs and the flash, flash, flash of the camera as many photos were taken of me by my loving travel companions as I proceeded to get drunk. The guacamole (and margarita) are both delicious, fresh and tasty and I’m proud of both my creations — not that it was that difficult since everything was cut up and pre-portioned out in little plastic cups. At La Fogata a muy delicioso restaurant in San Antonio, Texas specialising in Mexican cuisine, the Margarita Class and Guacamole Class are little “appetisers” meant to keep us occupied as we wait for the main event — the food. As there was a large group of us, we ordered sharing plates of beef and chicken fajitas and quesadillas. The mariachi musicians stroll through the restaurant serenading us as we feast on quesadillas and fajitas. Dining al fresco with terracotta tiles underfoot and patio lanterns twinkling overhead adds to the ambience. 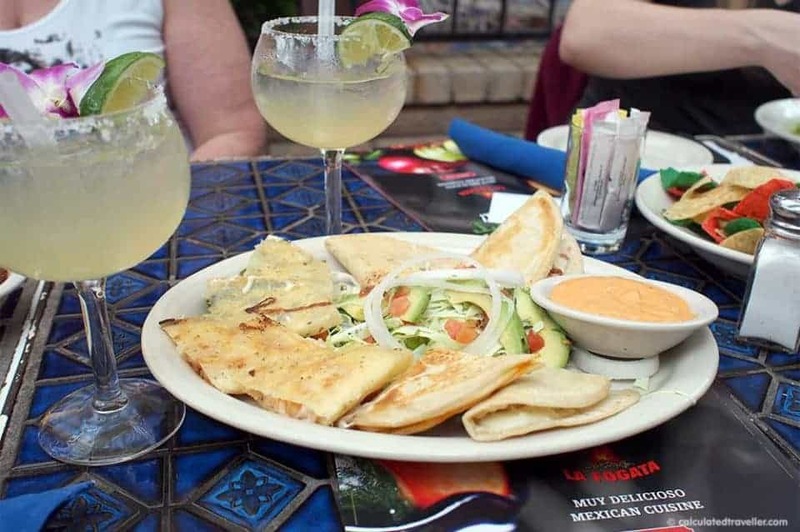 La Fogata is fun, charming and a favourite for locals and tourists but it isn’t the only place to get excellent guacamole in San Antonio. Read more reviews of La Fogata on TripAdvisor. 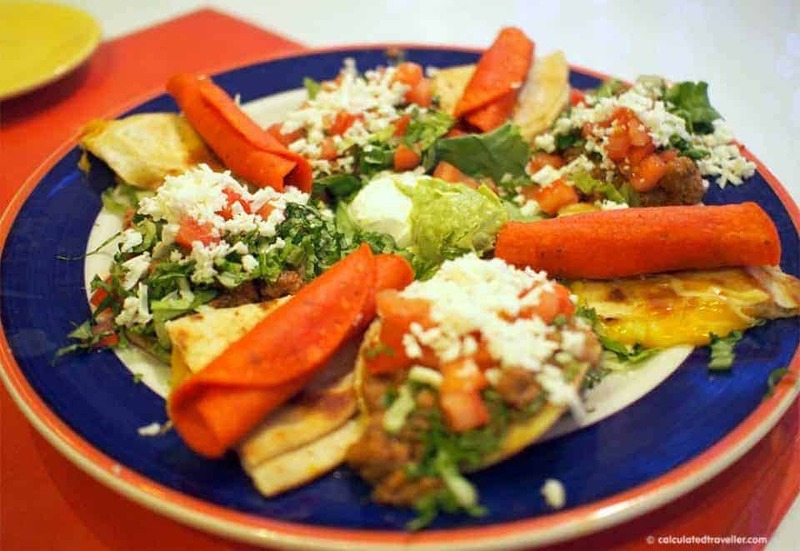 A visit to Mi Tierra Café and Bakery, located in El Mercado (Market Square), is like a 24-hour Fiesta. 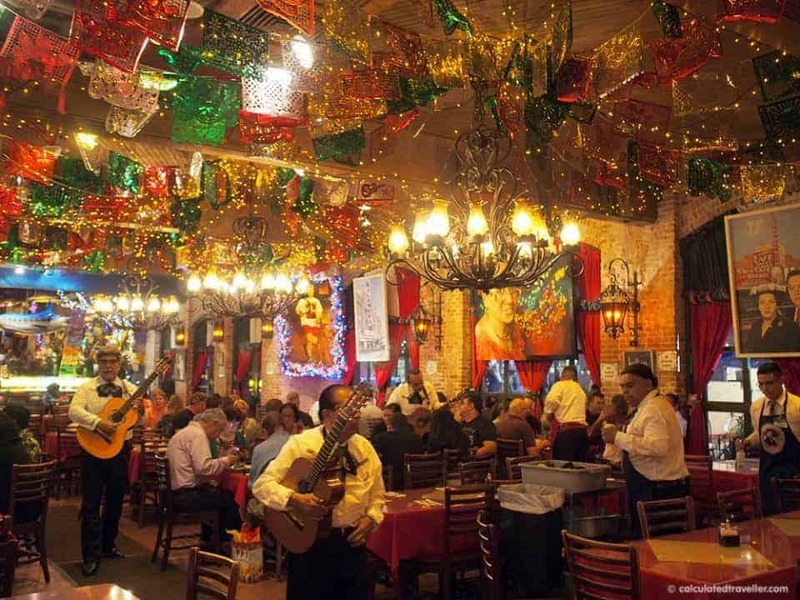 The party never stops in this bustling restaurant with sparkly paper streamers, fiesta flags and Christmas lights twinkling overhead year-round, accompanied by the musical sounds of the strolling Mariachi. 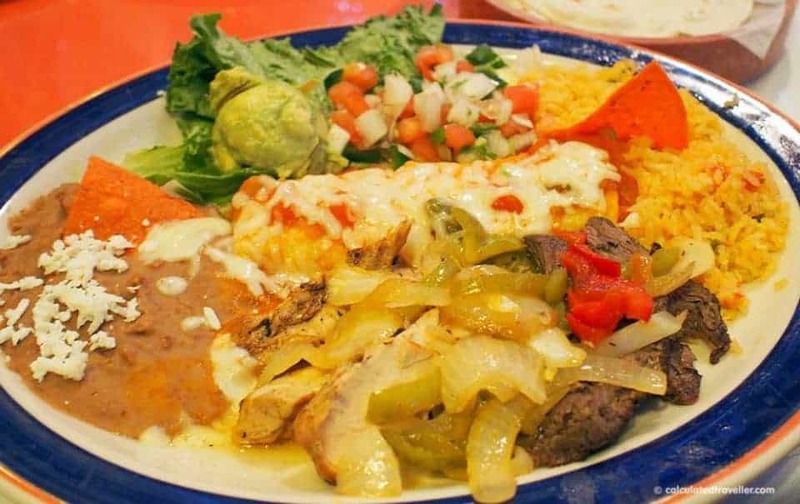 What started in 1941 with just three tables today, this famous restaurant seats 500 hungry locals and tourists alike looking for authentic Tex-Mex cuisine. 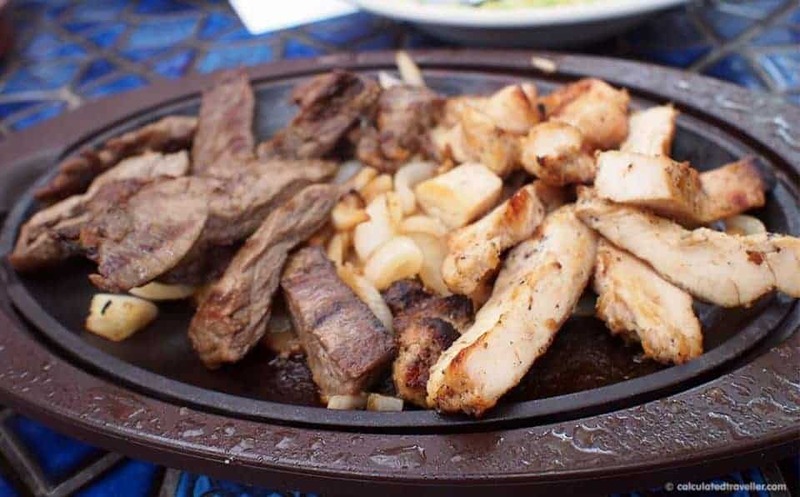 Mi Tierra is truly a treat to all your senses – sight, smell, sound, taste, and touch. 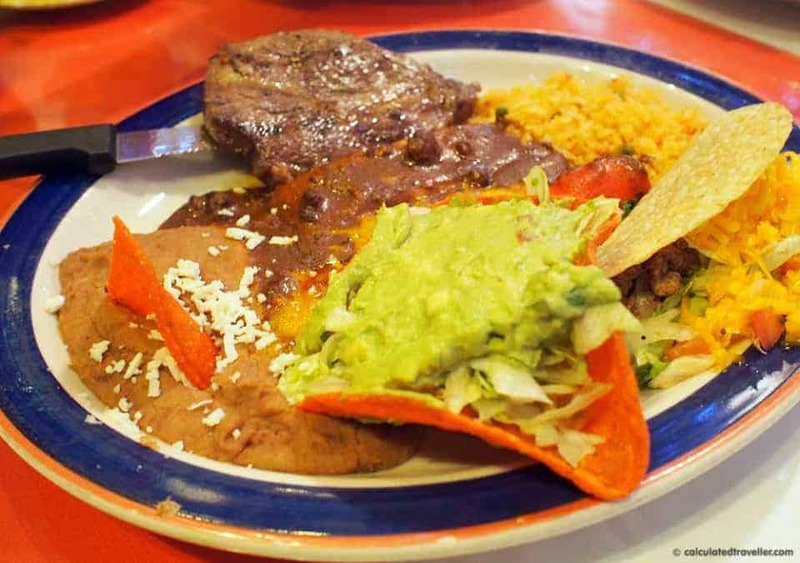 Eating in a traditional Mexican restaurant such as Mi Tierra was a first for hubby and I and we turned to our very helpful waiter for suggestions as to what a first-timer should order. We weren’t disappointed. 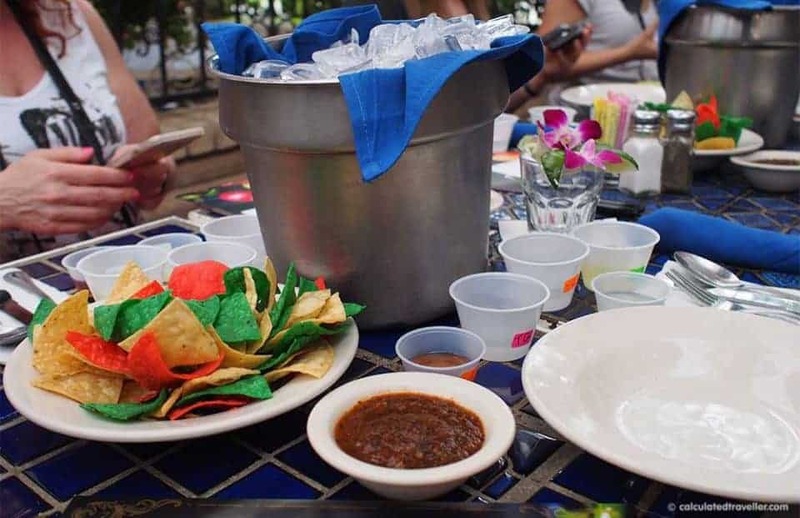 Located directly on the waterfront across the street from the Omni La Mansion del Rio is the upscale Boudro’s Texas Bistro; it’s the perfect spot for a romantic dinner for two and said to have the best guacamole on the Riverwalk. 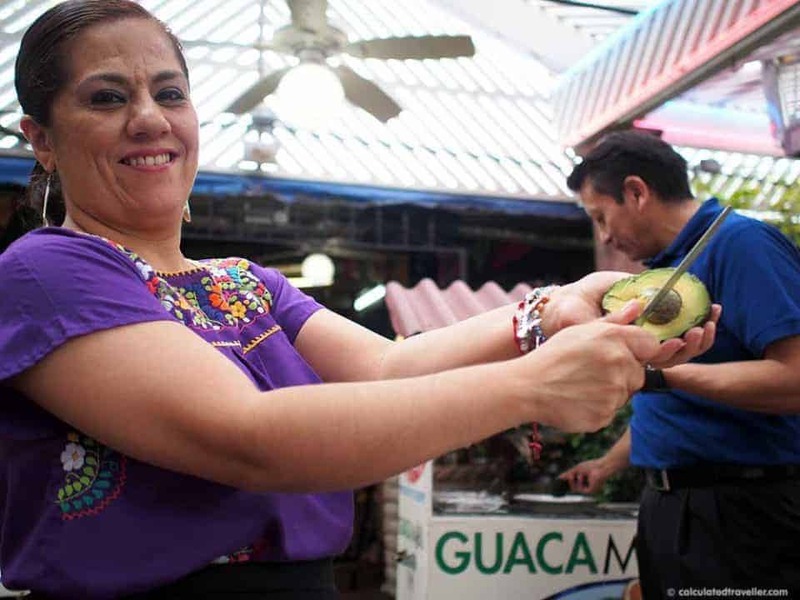 The famous guacamole is made table-side and is unique in that the avocado is left chunky as opposed to mashed smooth. What makes this guacamole especially delicious is the addition of orange juice. Here’s the recipe from their website. Squeeze orange and lime juice into a bowl. Add avocado and coarsely chop. Add onions, roasted tomato, serrano and cilantro. Fold into avocado mixture. Add salt. Guacamole should look crudely cut not mashed smooth. Read more reviews of Boudro’s on TripAdvisor. Oh and here’s a great taco dip recipe since you already have the tortilla chips! 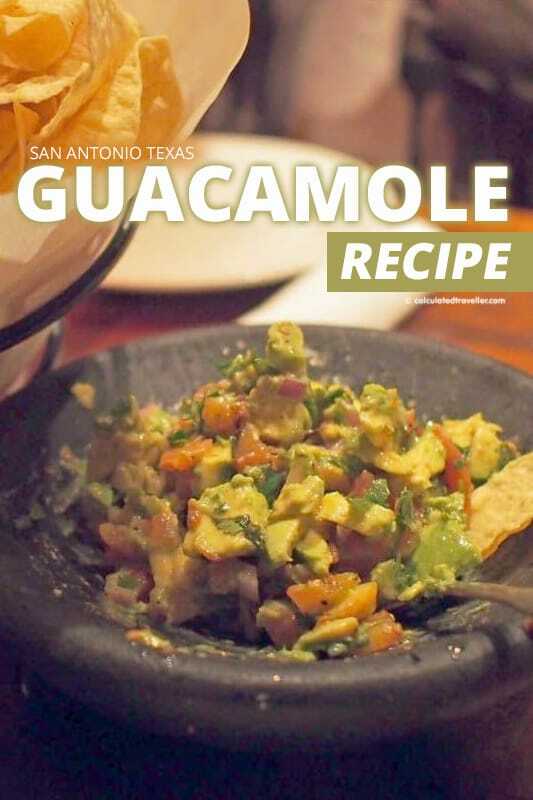 I hope you enjoyed this guacamole journey through San Antonio Texas! Travel assistance provided by Visit San Antonio and Texas Tourism. All opinions are entirely my own. 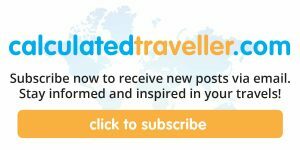 Looking for more Texas articles? 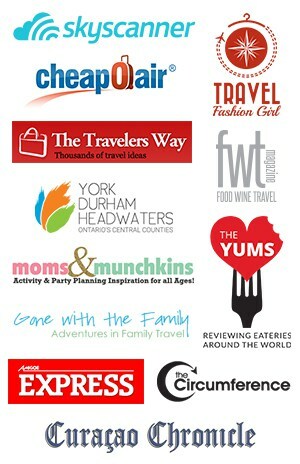 I see there are a few stops on the Guacamole trail that I still need to make! I’m hungry for Guacamole now and thankfully there is an avocado in the kitchen!